Hamed Samarghandi earned his BSc (2006) and MSc (2008) in Industrial Engineering from Amirkabir University of Technology and Sharif University of Technology, Tehran, Iran, respectively. He received his Ph.D. from the Department of Mechanical and Manufacturing Engineering, University of Manitoba, Canada in January 2013. Hamed is an assistant professor at the Department of Finance and Management Science, Edwards School of Business since July 2013. His research interests consist of the applications of mathematical programming in various settings including service and manufacturing sector. Hamed has published papers in top-tiered refereed journals such as EJOR, COR, EJIE, IJPR, IJAMT, CIE, IJMHEUR, etc. in areas such as scheduling optimization, facility layout planning, and healthcare optimization. 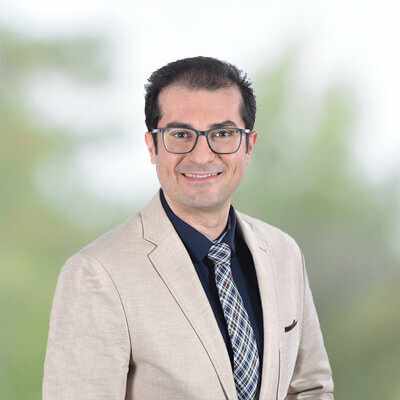 Hamed’s work experience includes several years of management consultation in different settings such as automotive industry, banking and commerce, and not-for-profit healthcare environments including CancerCare Manitoba. Waiting time optimization in the mental health sector with a special focus on big data decision making. Strong coding and programming skills. Forecasting, a critical component of business operations, represents the analysis of historical data to discover underlying patterns (trends, cycles and so forth). Knowledge about such patterns can be used to make estimates of future data values. How do we use both quantitative models and qualitative approaches in helping to develop forecasts for relevant, realistic problems? How does this contribute to the overall process of managerial decision-making? How are quantitative models constructed? What type of data do they require? What sorts of assumptions are needed to build useful models? How can the results of quantitative models be more effectively communicated? These represent a few of the questions that will occupy our attention during the semester. My approach in this course is not to delve into the mathematical theory of developing forecasting models; rather, we shall seek to better understand the application of these techniques as an aid to managerial decision-making. Through case studies and readings, we will come to appreciate the role that these techniques play in helping managers make better decisions. A supply chain (SC) for a product consists of a company, its suppliers and its customers, linked by flows of material/product, information, and financials. Supply chain management (SCM) is collaborative management and integration of these flows across a supply chain in order to maximize its performance. SCM has grown out of business logistics management and its activities include management of demand, order, inventory, transportation, distribution, material handling, and warehousing, both internally and across the SC. Techniques used in class include vehicle routing and network design optimization using Excel’s Solver. There will be several case studies for class discussion. My broad field of expertise is operations research/management, and optimization. Within this broad field, I have mostly concentrated my research efforts in facility layout planning and optimization, scheduling optimization, health care planning and optimization, and lean construction and construction risk management. I have been very selective in compiling the list of the problems that were mentioned above; both theoretical significance and business applicability have been taken into consideration. The mentioned research problems are intellectually challenging and theoretically interesting through the advent of the new algorithms, analytical results, software packages, and optimization techniques that will be developed to deal with them. The main criteria for the choice of my publication journals are relevance and reputation. Accordingly, my publications have appeared in prestigious journals as summarized in my CV. I have had the opportunity to involve a vast network of scholars from Canada, United States, and the Middle East in my research publications. It is difficult to distinguish the exact contribution of each individual listed as a co-author in my research publications; each person listed has had a very important role in the progress of the research. I am very thankful to the contribution of my co-authors.